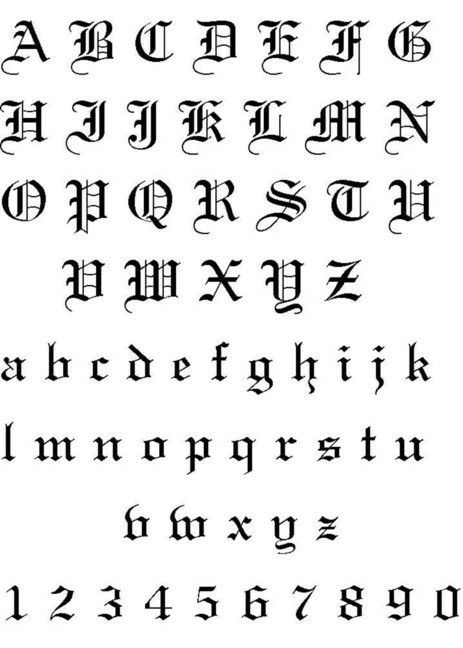 For any test, there are many fonts which can enhance the look of the content while conveying its meaning. Headline fonts are designed to get attention and to make the content look beautiful. But for a body font, the attention should be kept to itself. You should use a font which is designed especially for body text as it will help you a lot in making your document more readable, engaging and professional. So what is the right way to choose the right font? There is no one solution to this question as sometimes what works better on screen doesn’t mean it will translate equally well on paper. 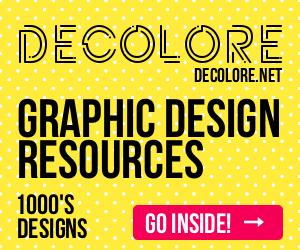 I am here sharing some guidelines which can help you to pick a typeface suited for your business image and brand. When you choose a font then you must know how it will be used. The font you select should complement the content whether it is a headline or a lengthy body text. For example you can choose classic serif font for text for an established company belonging to old schools. If you are selecting a font for a fresh and modern start-up then you can go for lightweight sans-serif. 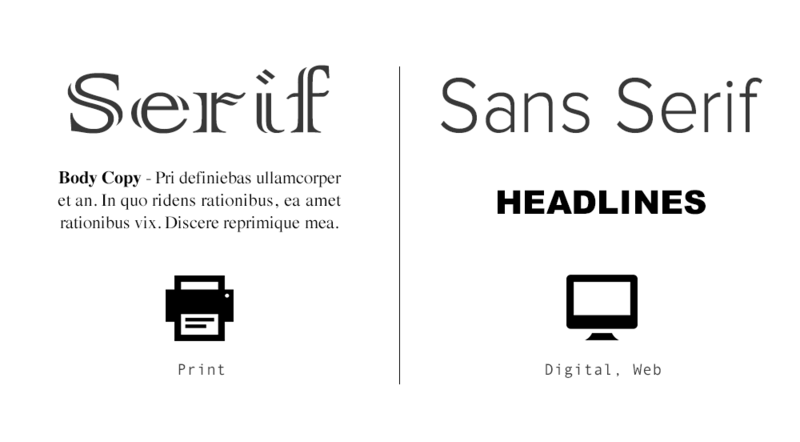 For printing tradition you can use a serif font and for web you can use a serif or sans-serif. Both are acceptable and nothing is compulsory. But make note that when you are in doubt, go for sans-serif first for a more modern look. There are lots of fonts, both serif and sans for all different styles. Hence keeping in mind the above guidelines you can take your decision easily. For example, Meddle is a great rounded sans-serif font that is easily readable at multiple zoom levels. It is good to use when you need to convey a lot of information but don’t look like you are talking too seriously. Another font, Gauthier is a well balanced serif font with a high height and small caps that make the text easily readable. You should make sure that you select a font where the letter are easily identifiable from each other as the reader will want to instantly know if a letter is an “o” or an “e” in order to quickly go through the content. You can do the “I-l- 1 Test”. It means type a capital I, a lowercase l and the number 1 and check whether there is a visible difference between them. This is a good test to know how much efforts the designers have put into letter differences. After that check how it looks on screen. Check it in all sizes as well as with italics, in bold and with small caps. 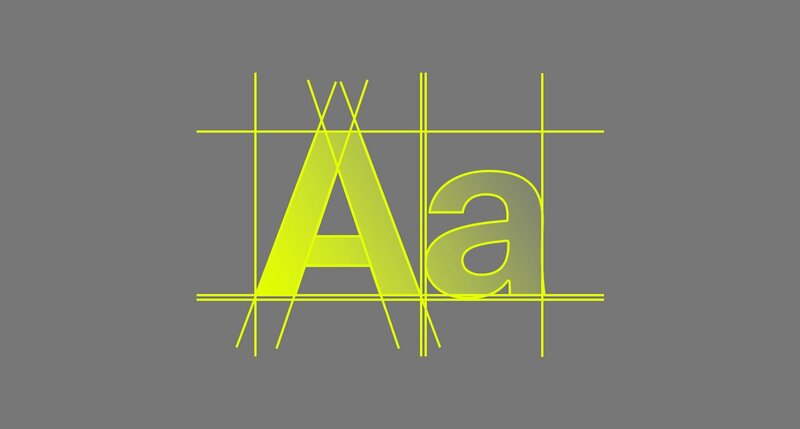 Check whether the fonts or letters are reshaped for optimal on screen viewing at various sizes. If not than can you get multiple optical sizes. An optical size is a version of a font which is customized specifically for use at a different sizes. 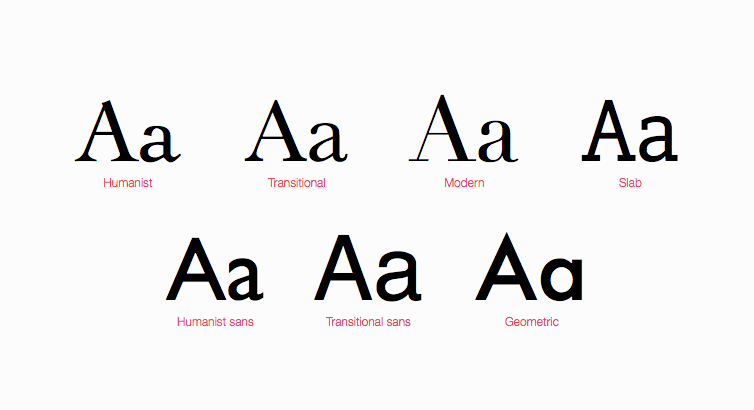 A font with different optical sizes has different styles for different types of output. For example, most of the fonts are thicker in their caption form and not in the display form. Some of the serif fonts round off the corners so that they don’t disappear at smaller sizes. 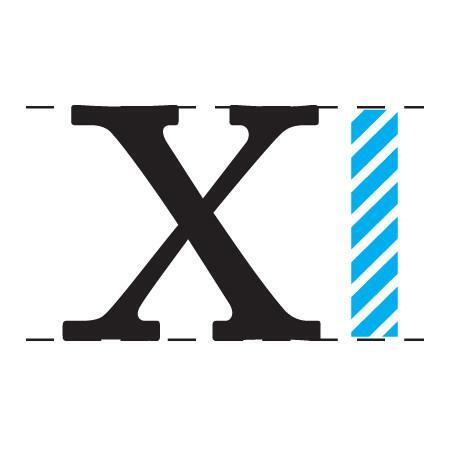 X-height is the height of a lowercase “x” in any font with no ascendants or descendants on a particular font. 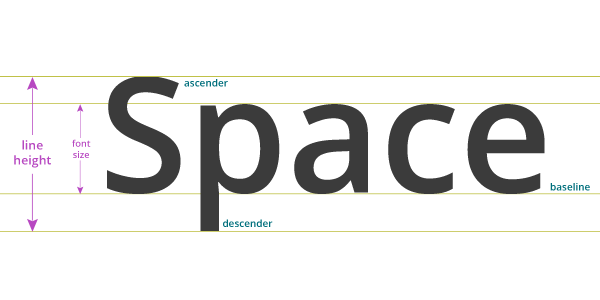 High x-heights means the lowercase letters will extend further over the font’s horizontal line and will tend to make fonts more further over the font’s horizontal line and try to make fonts more legible at smaller sizes of from more distances. There are so many individual fonts which are optimized for readability in ways that meet their relatively low x-heights. There should a comfortable amount of space between letters for your readers so that they can move through the document easily and naturally. If letters are too close to each other than it will impact readability and legibility for any size. If your body font is good then it will have optimized letter spacing and have inbuilt adjustments for awkward letter relationships like “kw” and “ve” etc. Generally the most comfortable size for a body font is 10-12 point with 12-14 point leading – the distance between each line of text on page or display screen. On internet, font size generally vary from 15-25 pixels. Also certain fonts are designed so that they can stay fit to a smaller print size. For older readers, larger point sizes from 14-18 offer better readability. As we have just discussed, good design is very important for your document’s readability and the overall environment of your work. Follow above given guidelines or tips and you will surely be rewarded with an engaging document which will boost the reader’s interest in your particular content and also build your your brand. Alex Jones is a skilled WordPress developer linked with WordPrax Ltd., a leading WordPress website development company driven by innovation. She has shown her prowess in handling WordPress projects with high-end and dynamic outputs. 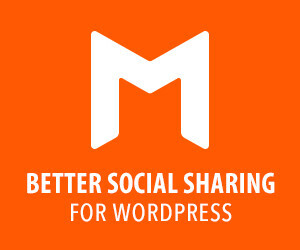 A technical blogger- Alex has written numerous articles on WordPress and other technical topics.